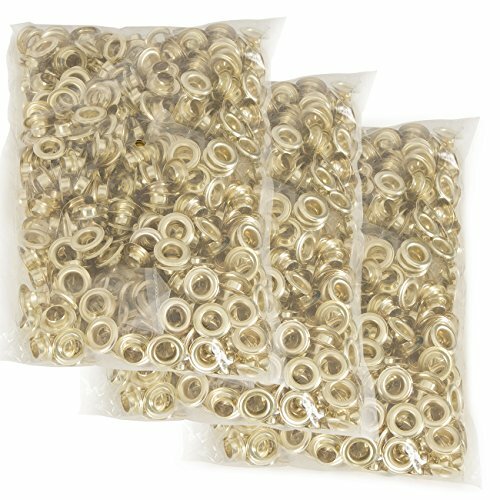 These grommets are perfect for replacing or repairing canvas or plastic. This grommet kit is ideal for professional do-it-yourself grommet repairs to tents, sails, awnings, patio and pool covers, etc. Made from solid brass, these grommets are much more durable than brass plated versions.